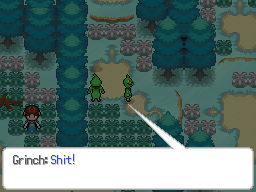 > Game starts with a level 10 Cyndaquil! > Speed-up while battling by holding "F"! 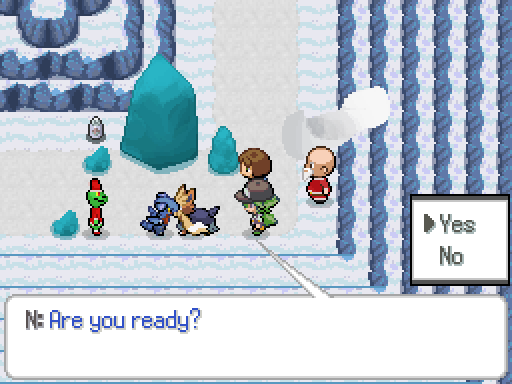 > Has the same feature with Pokémon RSE, collecting snow! no copyright infringement is intended on the makes of the game, please support the official releases. Tbh, I participated in this competition to have fun and enjoy making a game with limited time. this was the first time I entered a competition like this, and looking at the other games that were made in the last jam, those games inspired me, anyways enough with the talk I hope you enjoy playing this game! Either contact me on Discord xUMG#4982, or hook me up in this thread if you encounter any problem regarding the game, or just any suggestions in general. If you're stuck at Frost Cave R2's ice maze here's how you solve it. Hey xUMG you have done really a nice work. 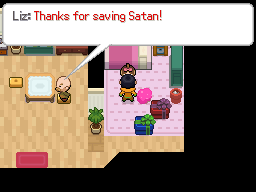 The game was really nice. First thing's first? Reeeeaaaallly not into the difficulty curve. Using just my starting Pokemon alone, I am consistently toe-to-toe with enemy Pokemon. This would be fine if grinding options were reasonable, but you're having me fight against level 10 Pokemon to catch up to level 20 enemies, and I just find that extremely frustrating. 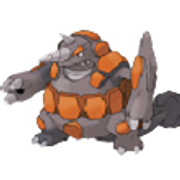 It's nice to have Charcoal to improve Ember, but when you're putting me up against a Pokemon who absorbs my hits and just continually blasts me with Sand Attacks, Hypnosis, and Confuse Rays, boy it's really demotivating. 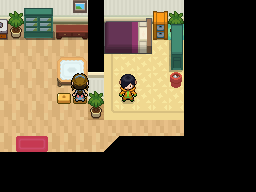 Every time my Pokemon all faint, I have to start back in that first town. This would be fine... but there seems to be no possible way to get running shoes, and so that, too, makes coming back again and again hoping that I don't lose to status effect RNG really just a bit painful. I know you give me the option to capture more Pokemon, but once again... grinding just isn't worth it, I don't feel like. 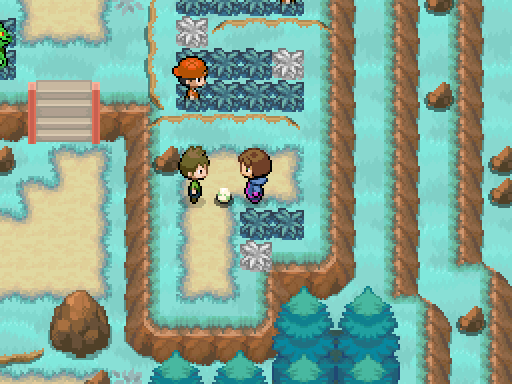 And when my only way of getting a single Pokeball is rummaging around the snowy grass, I'm even more demotivated to try. If there were fighting types around, I could make an exception for taking down that single Watchog, but every new Pokemon requires an exponential amount of grinding to keep up with opponents. I'll pass. This might just be me, but when it comes to these super short games, I just really don't making giant time commitments. And so I really don't like HAVING to catch other Pokemon to get through the experience, but if I need to, I absolutely will. I just REALLY, REALLY don't want to have to grind just to keep my team of two, or three, on par with my opponents. The Watchog battle was EXTREMELY frustrating, I ultimately had to skip that trainer. Secondly, I have a hard time really getting a sense as to what's going on in the world. The conflict is set up very lightly. The grinches have evidently stolen Santa Claus, and they plan to... do a bunch of other bad things too, because they're bad. With very minimal actual interaction with these characters up until the point in which I sort of had to bail out on the game (getting decimated in one turn by a Minccinno left a really bad taste in my mouth), I just didn't really feel the world or its conflict at all. Characters were light if not nonexistent, so there was no ultimate push for me to keep grinding or working towards the end of the game. Question, though? Why use the grinch as the villain in a Pokemon game? 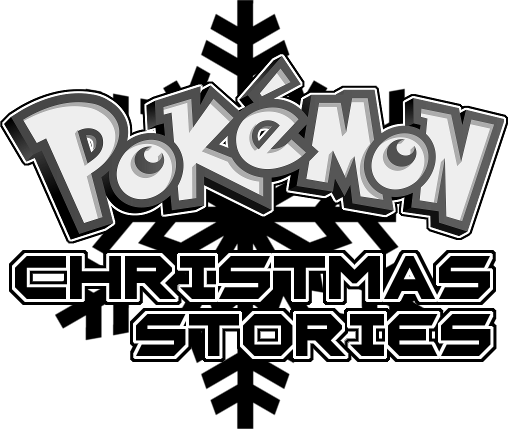 Why not try to go for a more... Pokemon spin on Christmas? Focus on ice-type Pokemon and Delibirds for that Christmas feeling, and use, perhaps, more mischievous/less lovable group of Pokemon as the villains! 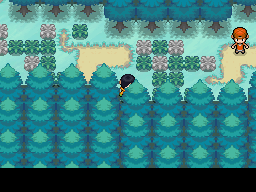 It's cool that you got a sprite for a grinch-like creature in here and all, but it feels like a very sporadic angle to go with for a Pokemon game, and with little else helping me attach to the general Pokemon theme (besides battles... but why am I battling every trainer I see if there's more important issues for me to deal with? Why are they completely ignorant to these issues? ), I think the experience fell a bit flat for me. 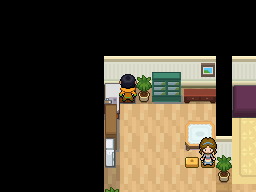 - When you enter a Pokemon Center, your Pokemon are healed automatically right as you enter the building. Twice. 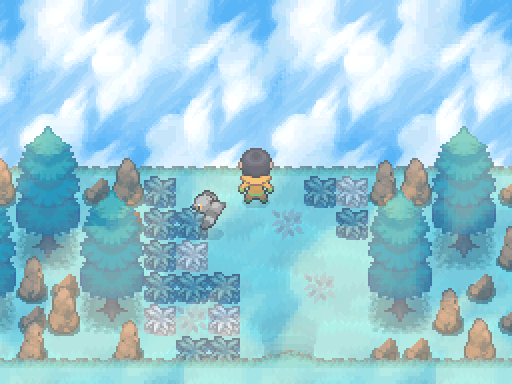 - The double battle on Route 1 will repeat its event 5 times if you do not have a Pokemon. - In the first town, Old Man Will will thank you in his house as if you had already found Liz... who is also, already in the house before you have even found her. - Juniper will say things about your next few tasks before you even find Liz, which is clearly unintentional. - Various typos/grammar errors throughout! You should go through your events and try to spell check a few things. 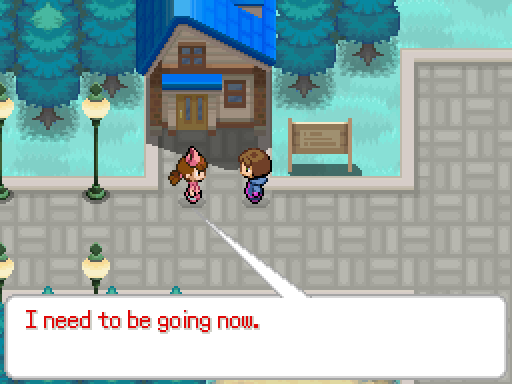 Sorry to seem pedantic, but, uh, very random cussing in what feels like an otherwise normal Pokemon setting, in a story that otherwise didn't even have cussing... just takes me right out of the experience and is a very easy reminder that what I'm playing is a fangame, and not necessarily something that's trying to tell a story. ESPECIALLY when that's your INTRODUCTION to a specific kind of creature. Anyways, that's everything I have! Sorry if I'm being a bit too critical in all of this! You guys still made a game in a month, and you should be proud of the fact that you accomplished that much. Keep on pushing, and keep on improving! And Merry Christmas to all of you! I get what you mean for the background story for the grinches, I also get what you mean about how no one is taking the grinches as threats. 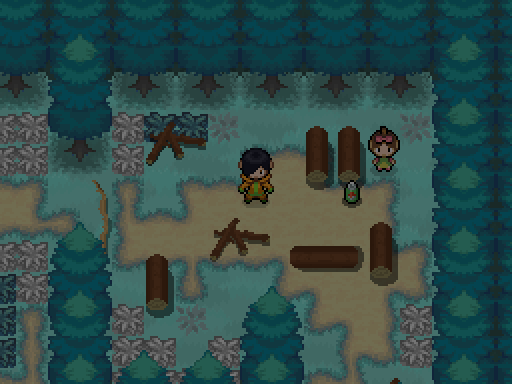 I may have went overboard with the trainer's levels because I considered the fact that you will get a charcoal in the game, and I never thought about the normal type pokemons I added, so I'll work around a solution for those. All in all I'm not upset, in fact I'm actually laughing on how I missed those things, about the critiques you gave. it just means I have to do better, work harder, and put more thoughts into it! Tbh, I was expecting to get more critiques than this because this was my first time doing such a thing. 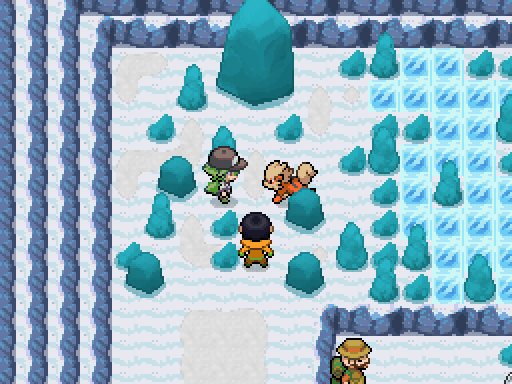 Adding on to the list of bugs, I rescued 3 Growlithes and there's 2 left in Frost Cave R2. However, once I completed the ice puzzle, the stairs didn't appear. 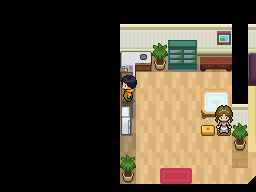 Also, after the random healing at the entrance of the Pokemon Center in Snowfall City, if you go back to heal later on and talk to the nurse at the counter, the game freezes. 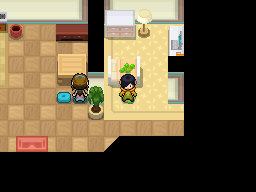 I had to do the other method where I put my Pokemon in the PC in order to heal them. Sorry if you're having a hard time on the maze. Hi, would you be able to get your game download on your thread properly without making people download Essentials BW and patch it? It's been almost a week, and this isn't typically how we host fan games on the site. Thanks! Hey, I'm really sorry, but, I have been having troubles with my internet lately. Anyways I'll ask a team mate of mine to make a download link for it, hopefully we get it done soon. xUMG just needs to Change the download on the thread. So I'm kinda lost, what do you do after you rescue all the Growlithes? I thought overall, this was a cute little game, with decent mapping and quite a fun idea behind it! Having said that however, there are some major gripes I have with it. To start with, I'm a bit confused with your decision to Klein's outdated BW kit. If I remember correctly, the kit is build off of an old version of essentials and so isn't as up to date and complete as the current version is, which of course can never be a positive aspect of any fangame. On top of that - and this may be more of a personal thing - the near pointless dual screen feature simply gets in the way more than anything, while also having the effect of making the screen size much smaller than it really needs to be. I understand that perhaps you wanted to use the kit for it's BW style battle system, however I don't think sacrificing so much just for aesthetics in the battle scene is really worth it. Another issue I had was that considering the game's Christmas and winter themeing, there really was a lack of any snow tiles. 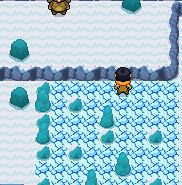 I'm really unsure why this was the case, as there definitely are snow tiles in the same BW style you used that have surely been ripped by now. 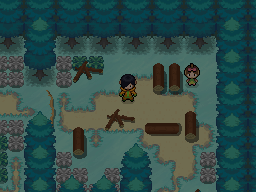 Adding them to the default BW outside tileset and using them in your maps really would have helped to set the atmosphere a whole lot better, and conveyed that wintery feeling that you're going for. Finally, just as @SmokedPaprika mentioned, the characters all felt very odd and out of place. The most obvious example is probably the Grinches. What are they doing in this world? They just don't really relate to Pokemon at all, and just felt very jarring and disjointed in my opinion. If you wanted to go with the Grinch theme, I would have perhaps designed an evil team with a Grinch theme (green hair and red Santa uniforms maybe) instead of just straight up using actual Grinches. It would have felt a lot more at home in a Pokemon game, and wouldn't have been nearly so jarring. Somewhat related is the inclusion of N and Cheren. What business did they have being in the story? Once again they felt really out of place, and that they had no real reason to be there. I understand that you maybe wanted unique designs to set them apart from regular NPCs since they did have minor roles in the story, but honestly it would have been better to just use generic NPCs over established characters from the canon without giving them a reason to really be there. Those are the main issues I had with the project. You should all be proud for releasing a whole completed project in just the space of a month, that's no easy feat! It's all good experience anyhow. Good luck with all of your next projects, looking forward to seeing them! Okay, so over the past few days I was working on tweaking and game, a ton. So here is a non-beta/playable release of the game until the end of the story. I'm back with another update! This time we updated graphics in general, also tad bits of animation details. Just download the patch at the main post and re-play from the start to update the game! • Animation details, like doors opening, and sound effects! • A change of tiles, they look more better in general. • Dialouge changes, to make things that are happening more understandable. • Bug fixes. And More! A huge thanks to Hollow_Ego for helping me script some stuff. And credits to Droid779 for the running sprites! Here are also a few comparison screenshots for the maps.